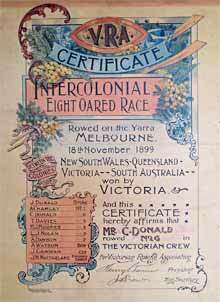 The amateur question was finally resolved for this regatta and NSW rejoined the competition. 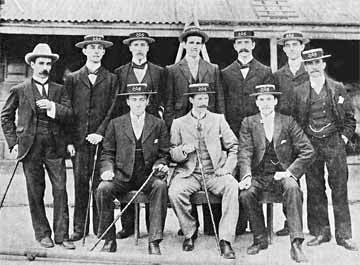 The 1896 conference definition was agreed to but operative from 1st January 1897, effectively allowing the Victorians who had raced for cash prizes in other sports prior to that date to be eligible. The sculling championship was won easily by 15 lengths after Slack suffered steering problems.